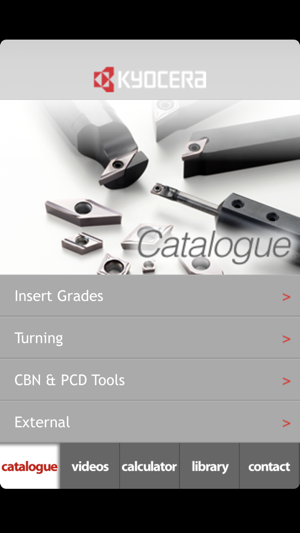 • View and download high resolution catalogues of all Kyocera cutting tools. 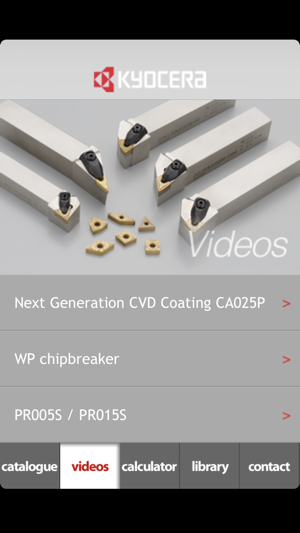 • View product videos demonstrating the usage of high performance Kyocera cutting tools. 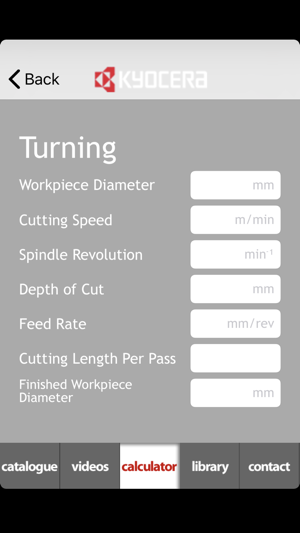 • Turning, Milling and Drilling machining calculators help you set the optimal cutting parameters for Kyocera cutting tools.